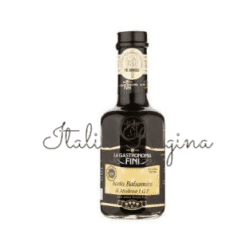 Balsamic vinegar buy online. 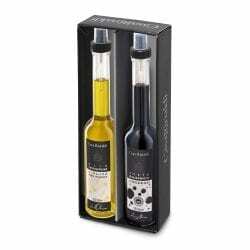 to dress from salads to strawberries – Balsamic vinegar sets the stage for a marvelous meal. 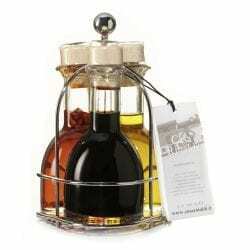 Italy is the home to the most exquisite oils and vinegar in the world. The different levels of aging give these products superb versatility that can range from everyday cooking to special occasions! 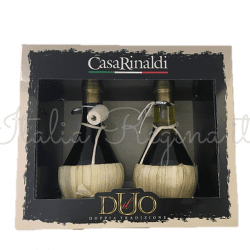 There are two versions of balsamic vinegar: the original traditional balsamic vinegar (Aceto Balsamico Tradizionale) PDO is made from a reduction of cooked white Trebbiano grape juice. 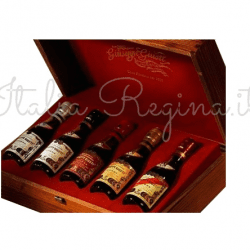 It has been produced in Modena and Reggio Emilia since the Middle Ages. The second one, also originating from the same area, is GPI. It is less expensive but still very tasty. 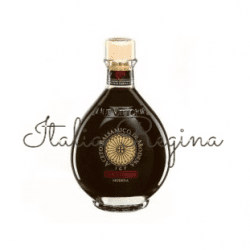 Balsamic Vinegar buy online now! 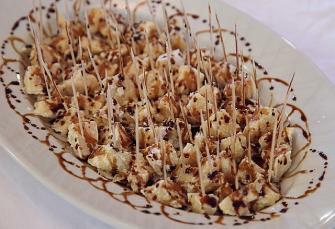 Balsamic vinegar originates from Italy but is very popular worldwide. 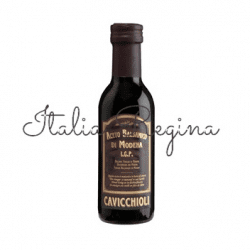 This type of vinegar was created in two specific areas in Italy: Modena and Reggio Emilia. 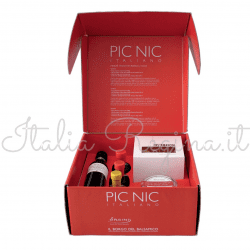 According to traditional methods, these areas in Italy provide the perfect conditions to produce the vinegar. Their mixture of very hot summers and bitterly cold winters, create the best climate for grape must mature and ferment. 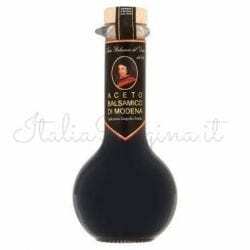 Balsamic Vinegar has been produced in Modena and Reggio Emilia since the Middle Ages, dating as far back as 1046. 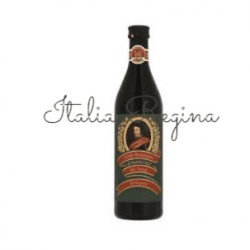 It is written in history that when Henry III, the Emperor of Germany, traveled to Rome for his coronation, he asked for a special vinegar as a gift when he stopped in Piacenza. 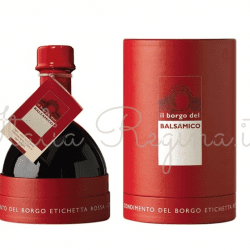 While there he wrote that he had heard of a vinegar which flows in the perfect manner – he was describing balsamic vinegar. 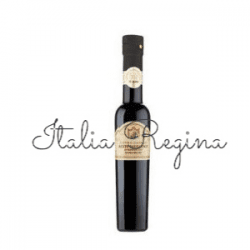 This type of vinegar is a traditional condiment of Emilian cuisine, made with the cooked must of grapes which comes exclusively from Modena and Reggio Emilia. It is fermented, acetified and then aged. 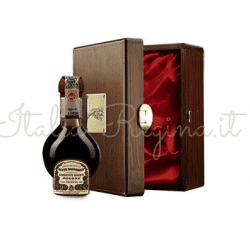 It is rich, glossy, deep brown in color, and has a complex flavor that balances the natural sweet and sour elements with a hint of wood from the barrels that it is stored in for a minimum of 12 years. 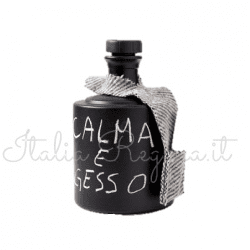 “Aceto balsamico”, in Italian, does not contain any balsam. 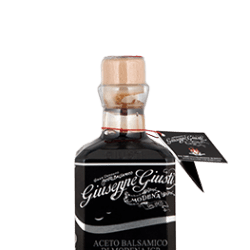 The term balsamico derives from the Latin word “balsamum” and from the Greek word “βάλσαμον”, in the sense of “restorative” or “curative”. The art of cooking the grape must, dates back to the ancient Romans. The ancients used it both as a medicine and in the kitchen as a sweetener and condiment. 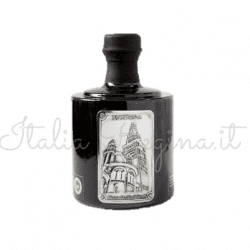 The story of Balsamic Vinegar starts in 1100 in the little city of Modena. 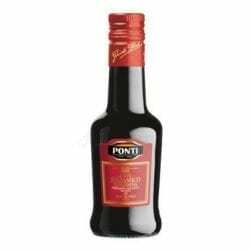 1046, while travelling through Po Plain, Henry III, Emperor of the Holy Roman Empire, was given a “very perfect vinegar” by Bonifacio, Marquis of Tuscany. 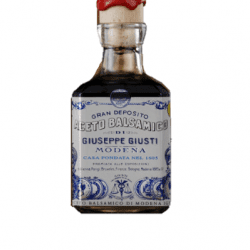 At the end of the 1200, the art of vinegar production was cultivated at the Este Court in Modena: the term “balsamic” appeared for the first time in 1747 in the registers of the cellars of the Dukes of Este. 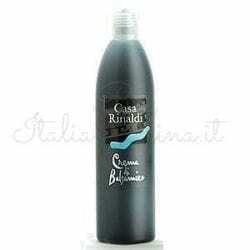 In the little city of Spilamberto, near Modena, you can find also a special Museum of Balsamic Vinegar. 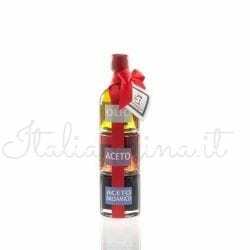 Balsamic Vinegar of Modena (Aceto Balsamico di Modena) is made from grape must that is fermented which can then be cooked and/or concentrated. To be IGP the grapes can come only from Lambrusco, Sangiovese, Trebbiano, Albana, Ancellotta, Fortana and Montuni vines. 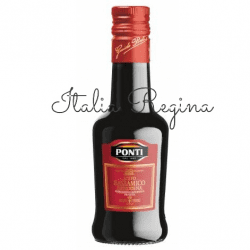 The minimum amount of wine vinegar added is 10% and must be aged for at least 10 years. 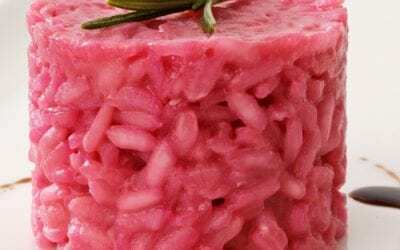 For the acidification selected bacterial colonies or the “lenta in superficie” (slow surface) or “lenta a truciolo” (slow wood shavings) methods are used and then there is the maturing phase. Both the acidification and maturation take place in precious sessile oak, chestnut, oak, mulberry and juniper barrels. The minimum maturing time is 60 days and after this period a group of expert technicians tests and analyze organoleptic results from the product. 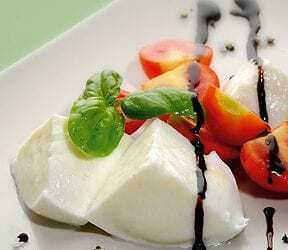 Each aspect of how balsamic vinegar is produced and aged is regulated. 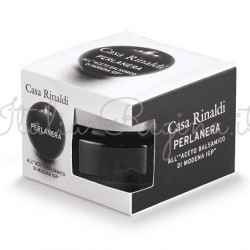 Due to the standards of the consortia in these two regions not only is the bottle shape regulated but even the foil that covers the cap is. 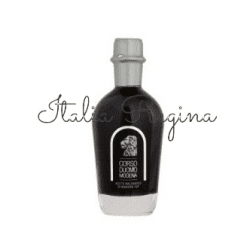 Nowadays, when people speak of balsamic vinegar they mostly think of the one from Modena, which is not the “Traditional Balsamic Vinegar of Modena”. 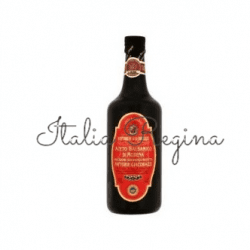 Aceto Balsamico di Modena is made with different proportions of wine vinegar (wine vinegar is not used in the traditional balsamic vinegar) and cooked must. 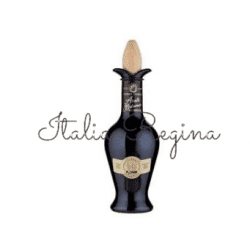 A “love story” with Modena plays an essential role in building the indisputable fame that black gold enjoys in almost 120 countries worldwide, where it exports over 90% of its annual production of more than 90 million liters. There are two consortia. 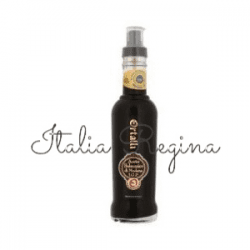 One is the “Consortium for the protection of traditional balsamic vinegar from Reggio Emilia” which includes 64 certified producers. 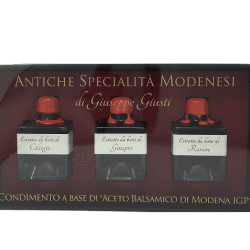 In 2013 the “Consorzio Aceto Balsamico di Modena” (Consortium for the protection of Balsamic Vinegar of Modena) and the “Consorzio Filiera Aceto Balsamico di Modena” decided to join together and founded another consortium: “Consorzio Tutela Aceto Balsamico di Modena”. 50 Companies are now associated with this consortium. 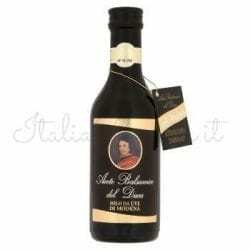 Being sweet and acidic at the same time, balsamic vinegar is perceived differently depending on the use. Pairing nicely with both hot or cold dishes. 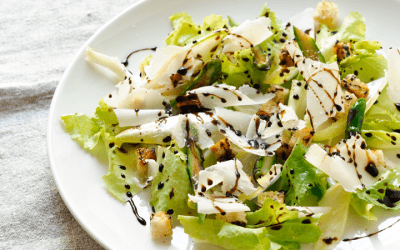 Balsamic vinegar is used as a condiment for salads, but also on meat and fish, boiled meats, cheeses (it is used also with Parmigiano-Reggiano). 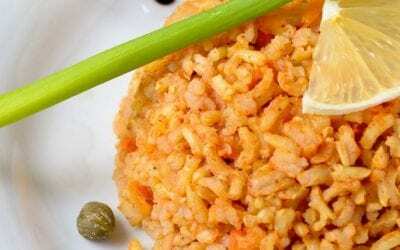 It is used both as an addition at the end of cooking and as an ingredient for the preparation of the dishes. In recent times, it has spread its use even on desserts and fruits (particularly strawberries, peaches and tropical fruits). 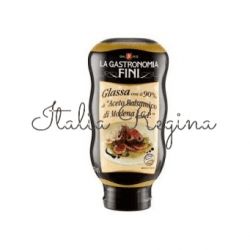 Once the 60-day maturation stage in wooden vats has been completed, Balsamic Vinegar of Modena can be further aged by being transferred to precious smaller barrels: after three years the product can get the IGP “aged” classification. 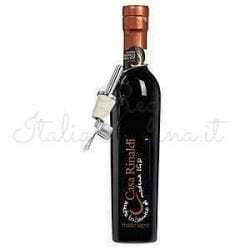 Every year, using a special method of decanting, the smallest cask of the sequence provides a few liters of the product, while the reduction due to concentration is compensated for by the addition of cooked grape-must to the largest cask. Only after at least 12 or 25 years of maturing does the product reach that surprising balance of aromas and flavor that allows it to bear the title of PROTECTED ORIGIN DENOMINATION (P.D.O. ).